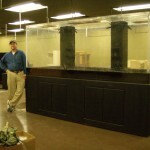 A small sampling of some of the beautiful enclosed, built-in and stand-alone custom aquarium systems we have planned, designed and installed. 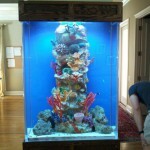 Striking 220 gallon custom aquarium centerpiece in home by Indoor Oceans with artificial reef insert. 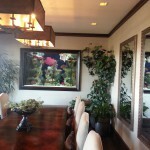 Other side of beautiful 125 gallon custom aquarium built into walls between two walls in home. 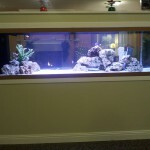 Elegant custom 125 gallon tank built in to wall of home. 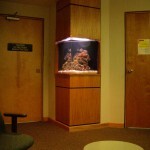 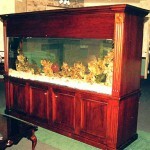 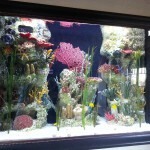 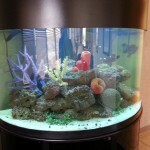 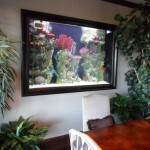 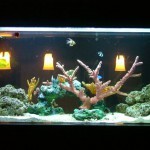 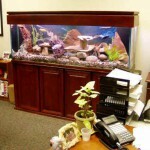 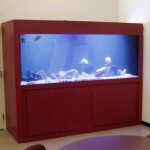 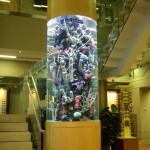 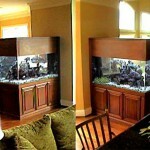 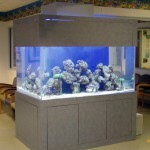 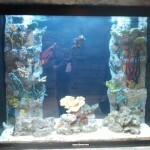 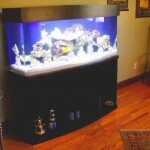 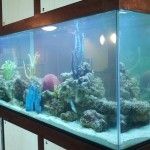 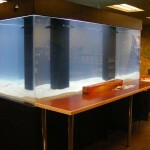 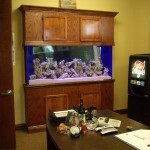 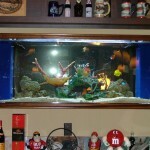 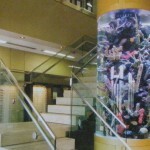 To get your own custom aquarium for your home or commercial setting, please contact us.